It will come as no surprise that evidence shows people do not always behave in ways that are best for their long-term health. For example, most people are aware that exercise is good for their physical and mental health, but comparatively far fewer people exercise regularly. When a person makes an intention to start exercising, there is only about a 50% chance that they will actually follow through with that. Those are the same odds as a coin flip! Did you ever give much thought to why it is that despite people’s best intentions, they indulge in unhealthy behaviour? There is a perspective growing in credence and popularity amongst health psychology science about how people’s behaviour is influenced by two systems. These dual process models provide a refreshing viewpoint for how to help people live healthy lifestyles without it requiring a constant battle of willpower versus unhealthy temptations. There are many iterations of dual process models, but the general idea of the models is that behaviour is influenced by two systems – one composed of reflective processes and the other of automatic processes. The reflective system influences behaviour through deliberative, planned processes, which are usually quite slow and require willpower. The automatic system influences behaviour through unintentional, spontaneous impulses. Although the processes are different, they can result in the same outcomes. For example – a woman has changed what she eats. It may be that she was informed that she is at an increased risk of heart disease and decided it was in her best interest to make the change – that would be a reflective process. Alternatively, it could be that she changed what she ate simply because she just had not been in ‘the mood’ or had experienced any ‘cravings’ to eat the same foods as usual – that would be automatic processes. The automatic system has a pretty bad reputation. 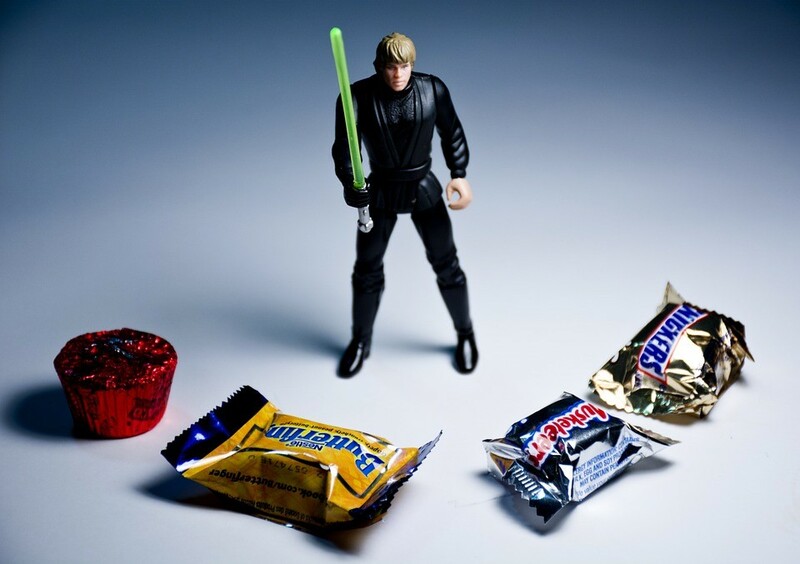 It has typically been vilified as the source of unhealthy temptations that must be overcome with willpower. Commonly, we educate people about why they should change their behaviour and rely on that information to persuade them enough to set goals and plans to change, diligently monitor their behaviour, and sort out a way to effectively follow-through with their plans each day. The problem is that these types of behaviour change strategies do not always work and when they do, it may only be for a short time. Maintaining a healthy lifestyle will undoubtedly require overcoming some temptations, but there are also ways we can help people work with instead of against their automatic system. Evidence is showing that there are ways to make it easier to resist unhealthy automatic influences and even ways to make automatic influences aligned with long-term health goals. With simple changes in the way we provide lifestyle advice, we may be able to give willpower the upper hand in the battle against unhealthy temptations or even stop the fight all together so that ‘temptations’ fights on the side of health. Suggest simple changes in daily routines that can help to avoid unhealthy temptations. Usually, there are certain places, moods, experiences, or times of day in which people are most prone to unhealthy behaviour. Awareness of what triggers the unhealthy temptation takes away some of its power and allows you to save willpower for the most high-risk times. Example: Someone who has just quit smoking may want to take a different route from work if he usually gets a pack of cigarettes at the service station on the way home. Come up with ways to make healthy behaviour options simpler and more pleasant than the unhealthy alternatives. Example: Do not keep junk food in the house. People will be less likely to indulge in urges for unhealthy eating if it requires a trip to the shops when there are healthier options at home. Make healthy options more visible than unhealthy options. Advertising works through repetition and high visibility of branding. The same techniques can be applied to health behaviours. Example: If a person has a hard time remembering to take their medication, ask them to place the medication in a prominent and safe location (windowsill over the kitchen sink instead of in a cabinet) so that it is seen regularly throughout a person’s typical day. Do healthy behaviours that are rewarding. When healthy behaviour is enjoyable, it takes less willpower to achieve and will be more likely to be maintained long-term. If it is treated as something unpleasant that must be tolerated, odds are it won’t last long. Example: If your child doesn’t like steamed vegetables, don’t force her to eat it or bribe her with a sweet after she finishes. Instead, explore different cooking strategies for vegetables that she may like so she learns to enjoy it rather than developing an avoidance to eating vegetables.